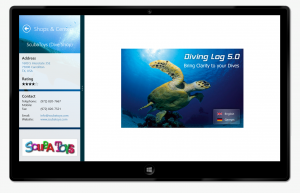 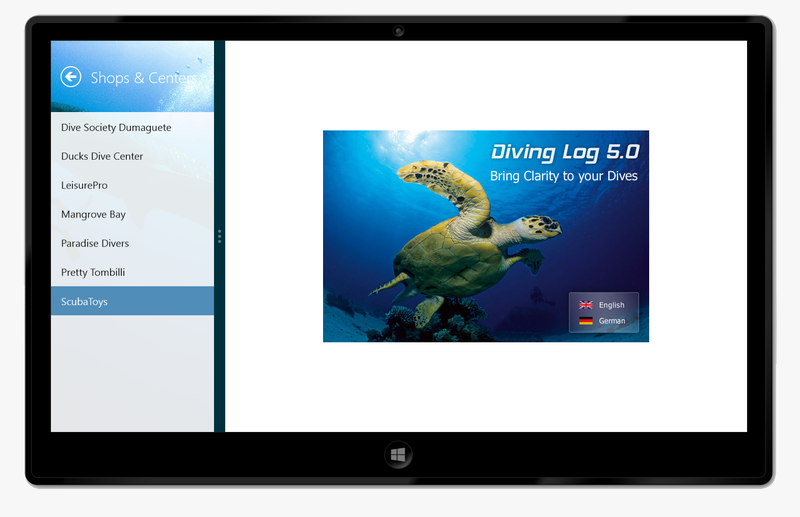 In Diving Log 5.0 on the desktop you already can perform an online search for dive sites and import new sites into your own logbook. 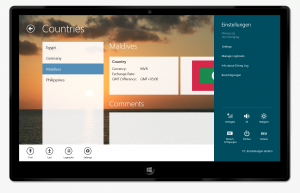 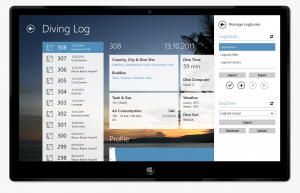 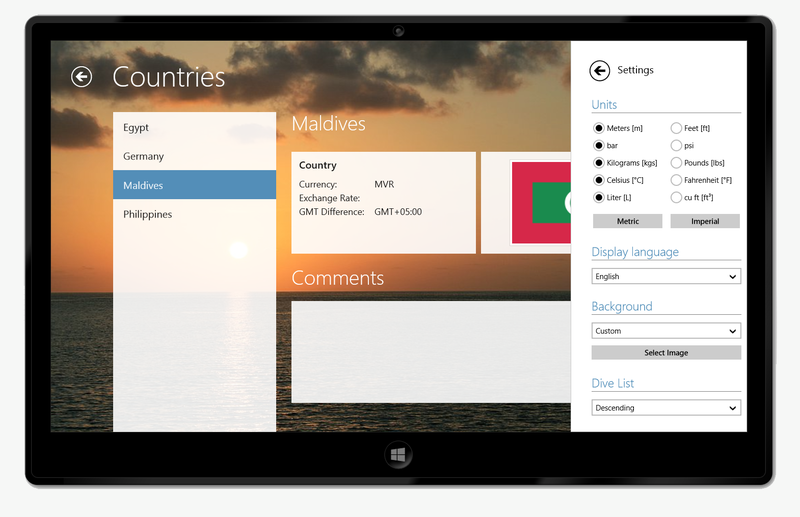 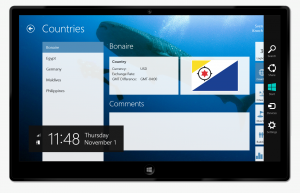 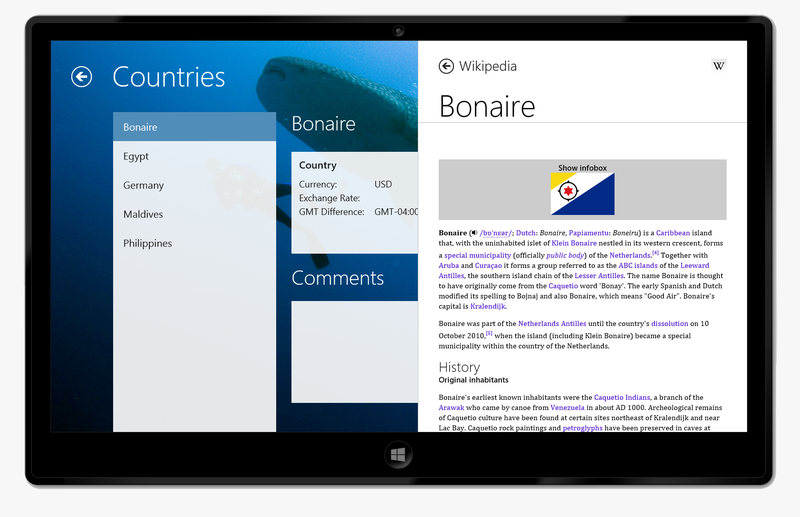 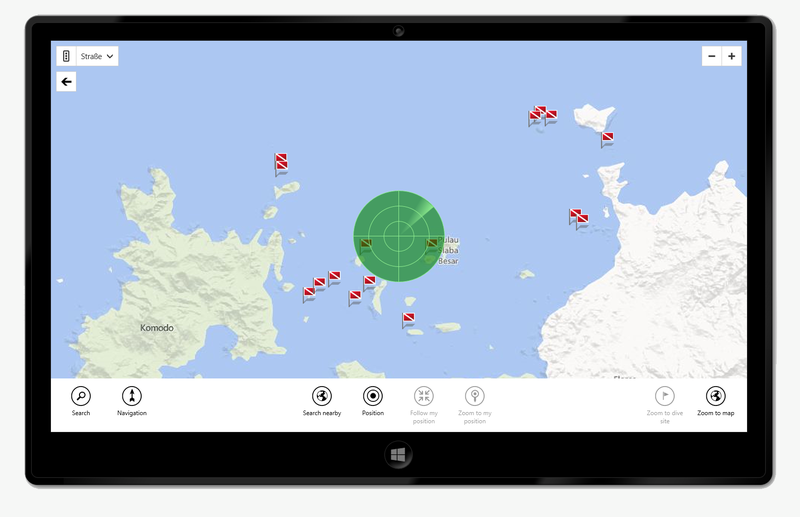 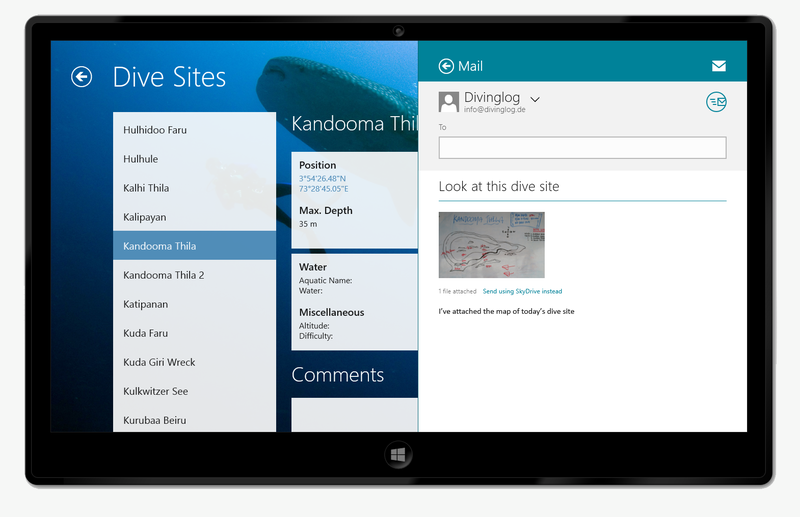 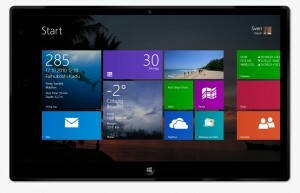 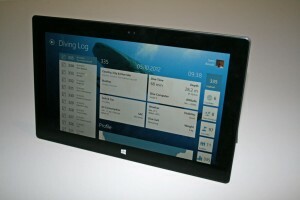 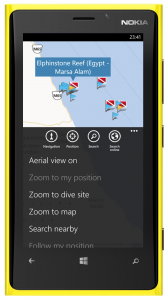 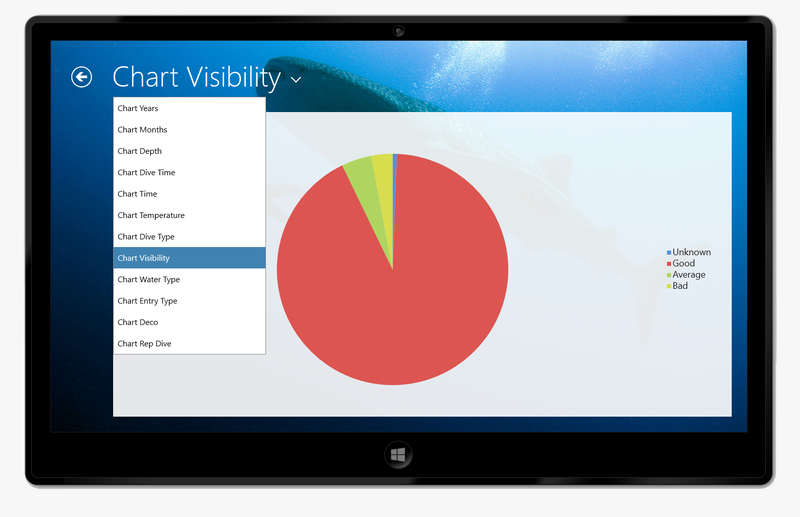 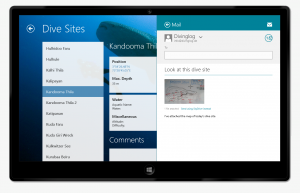 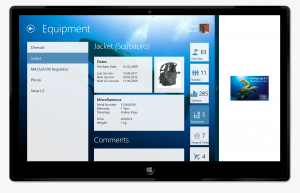 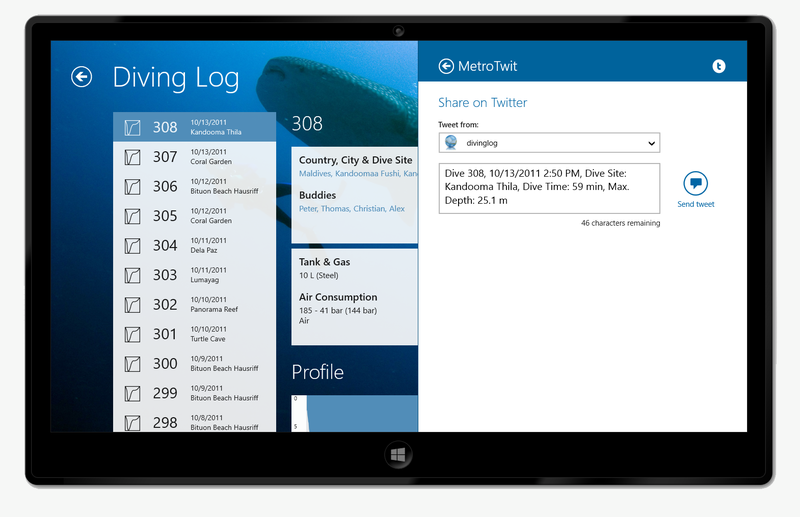 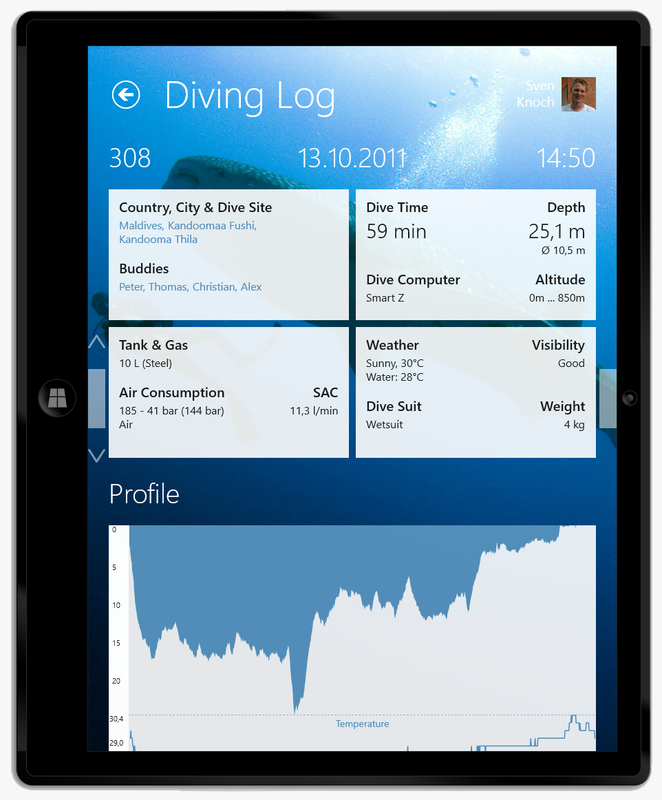 This feature will be available now also in Diving Log on Windows Phone and Diving Log Touch on Windows 8 in the next update. 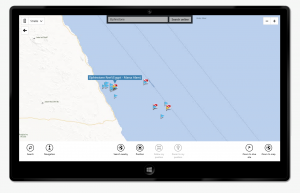 You can either search for a dive site name or search for dive sites nearby, which means in these touch centric apps near the center of the map. 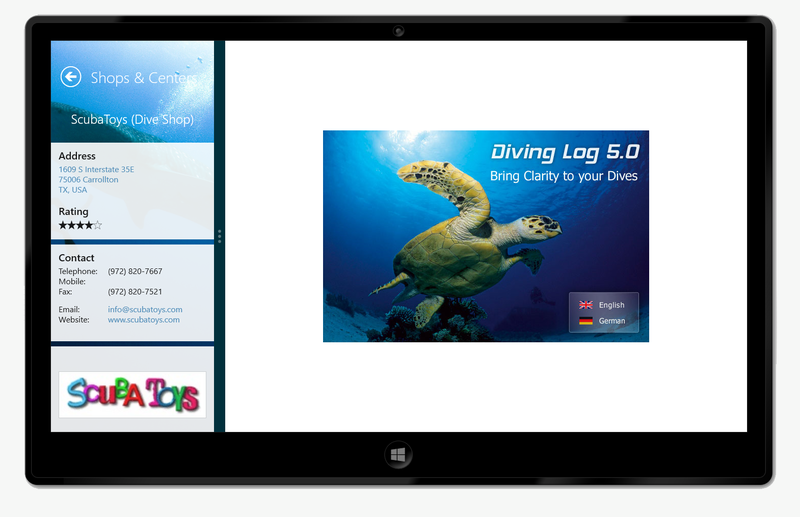 When you tap on an online dive site flag and then again on it’s label, you can import this dive site into your logbook. 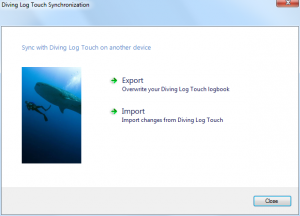 In the sync dialog, click the “Export” button to export your desktop logbook to Diving Log Touch or the “Import” button to import any changes back to your desktop logbook. 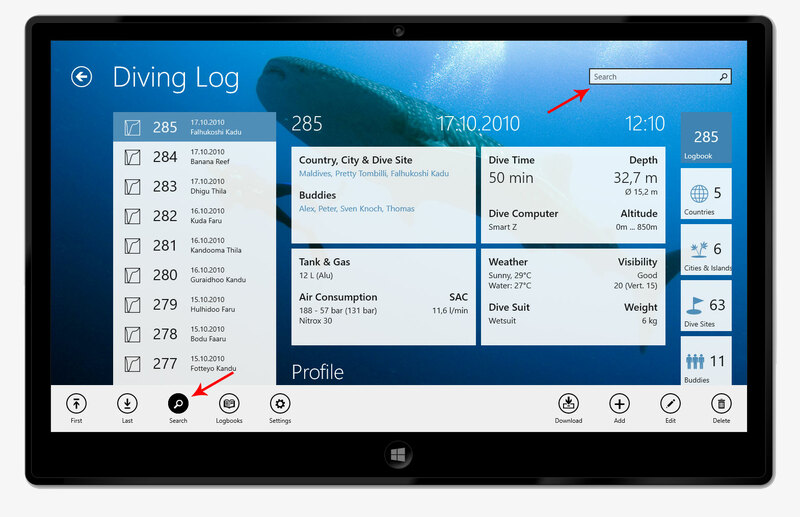 When you click on the image tile on the left, Diving Log Touch will start. When you click the “Export to…” or “Import from…” buttons, you can sync with another device (see below). No matter how you transfer your logbook, you can simply open it in Diving Log Touch with the default file browser. 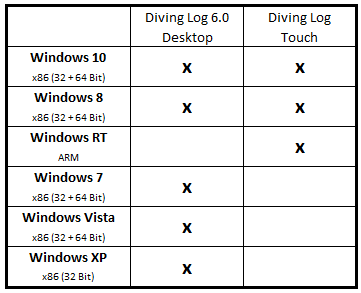 Or you can double click any Diving Log Touch logbook (*.sql) in Windows Explorer to open it directly with Diving Log Touch. In this case, the file is copied to the isolated app storage and opened from there. 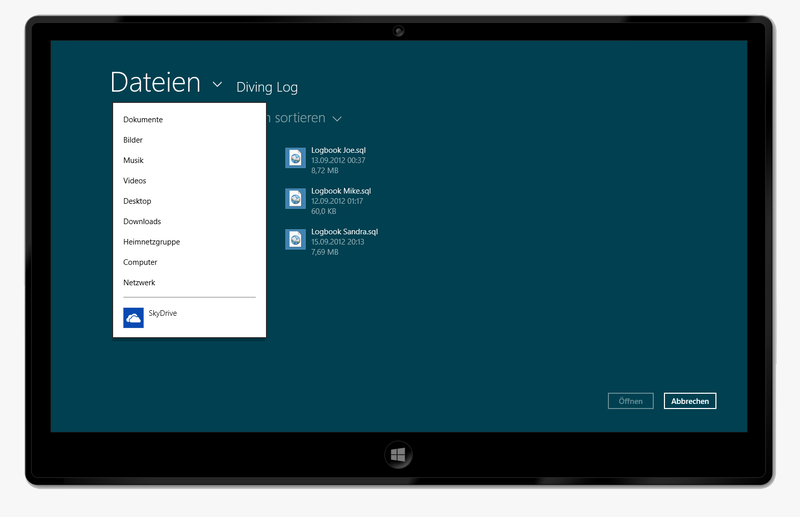 To sync back to the desktop, tap the “Export” button, copy the file to the PC and in Diving Log 5.0 click the “Import” or “Import from…” button. 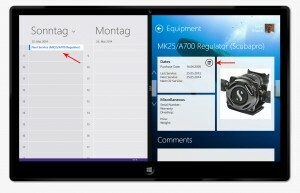 The logbook management pane is also used for switching logbook files in Diving Log Touch: Select the file in the list and tap on the checkmark button. 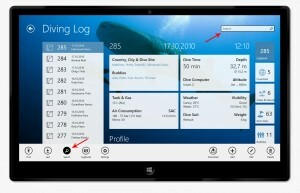 You can also create, rename and delete logbook files. 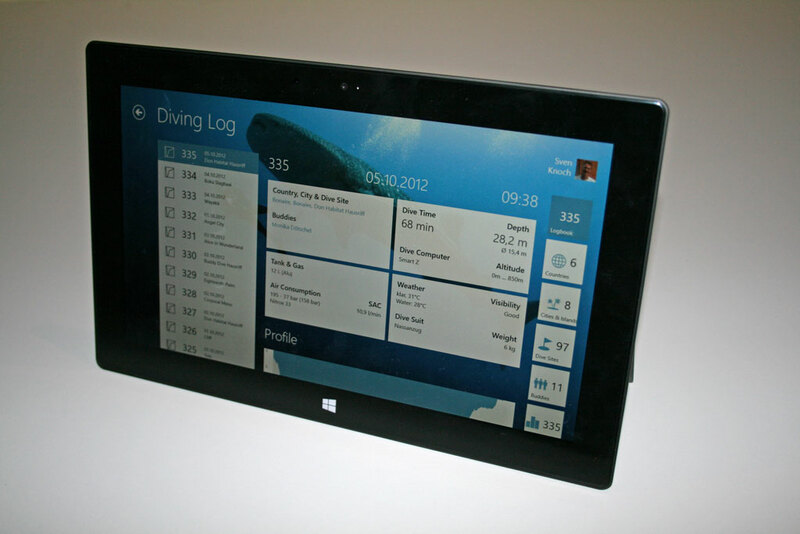 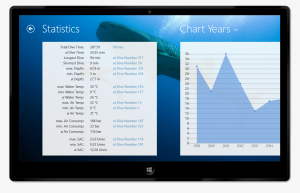 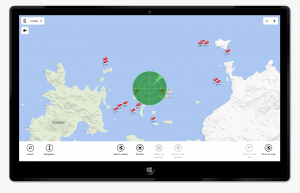 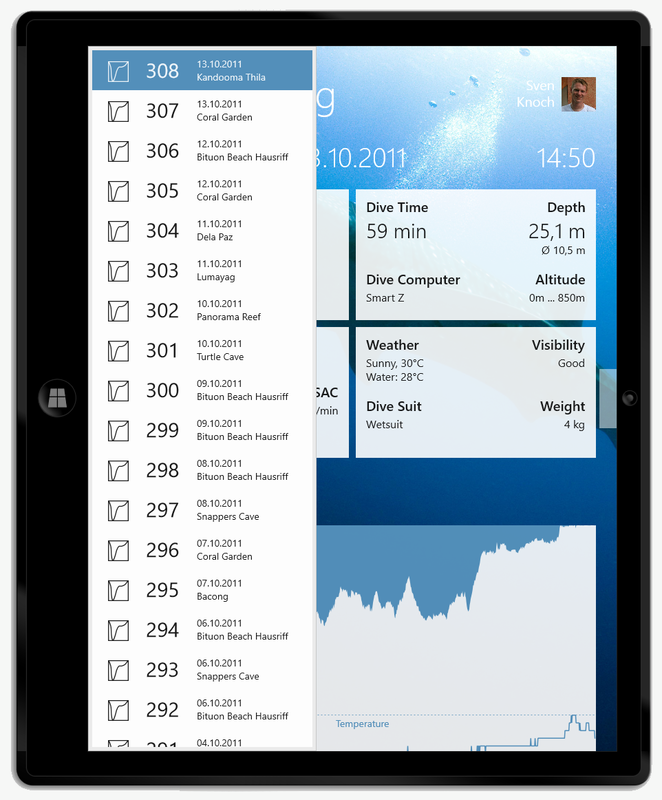 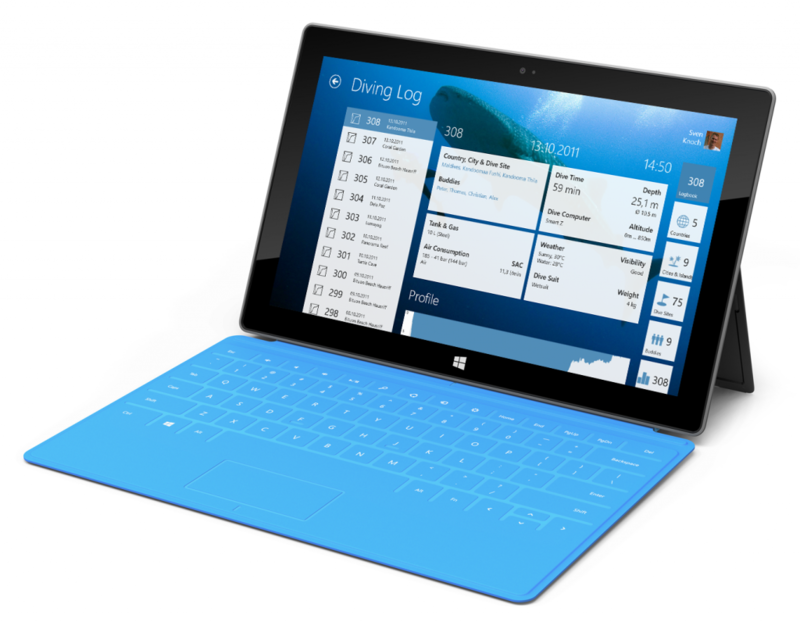 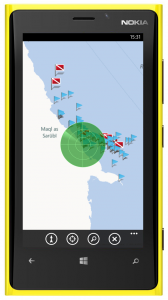 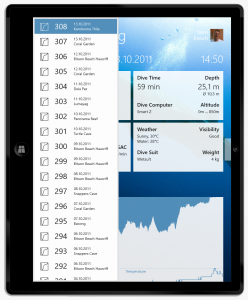 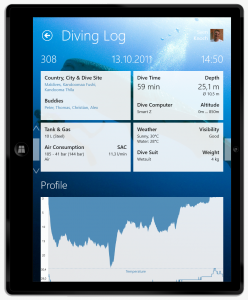 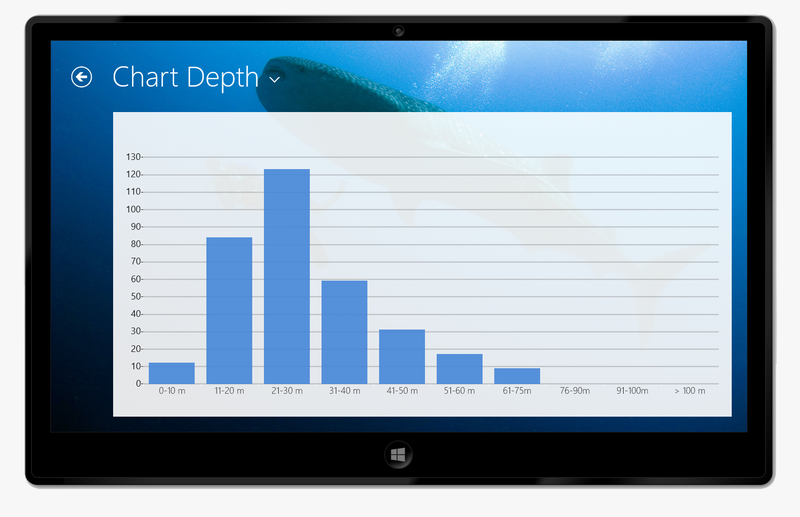 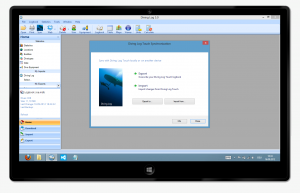 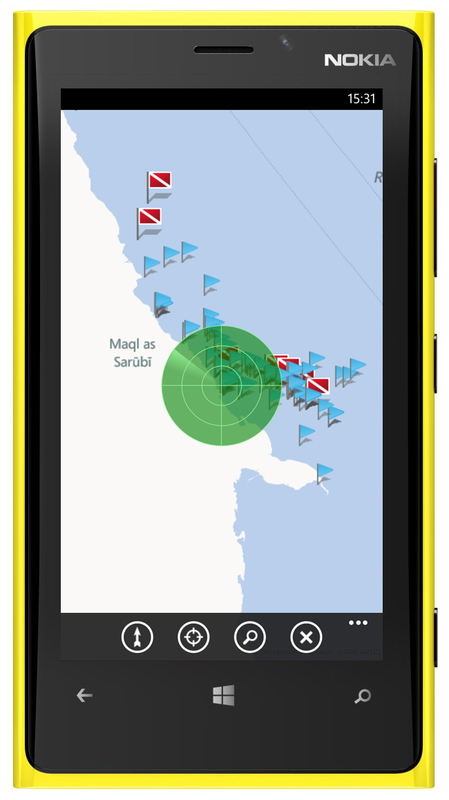 Diving Log Touch is using the same database format (SQLite) as the iOS Dive Log (iPad / iPhone) and Diving Log for Windows Phone, which makes switching between devices very easy and simple. 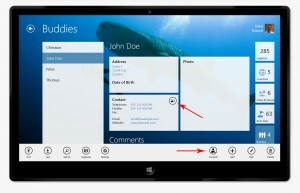 In this blog post I want to show you how you can customize the app and the available settings. 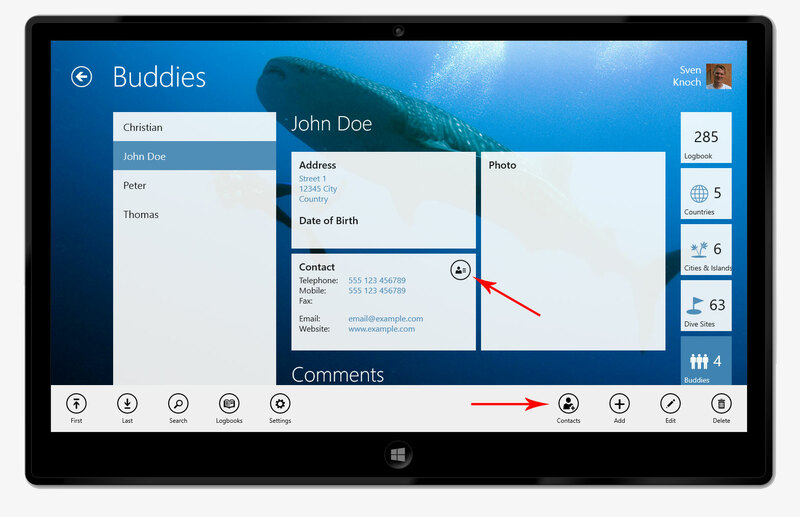 To open the app settings, either tap the settings button in the app bar, or open the Windows Charms bar on the right and click on “Settings”. 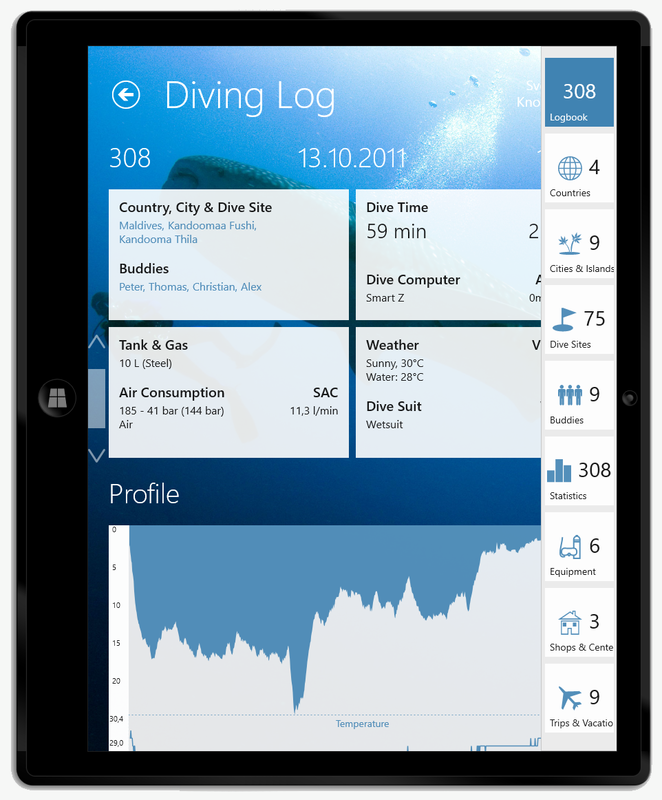 Once you’re in the settings pane, you can change the units, language (English, French or German) and the sort order of the dive list (first dive or last dive on top). 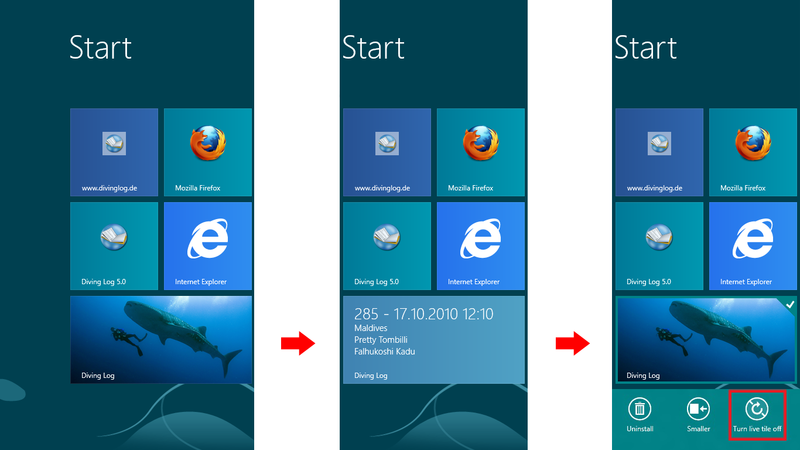 You can also change the default background image. The Diving Log live tile on the start screen displays your last dive by default (it animates between the image and the dive info). 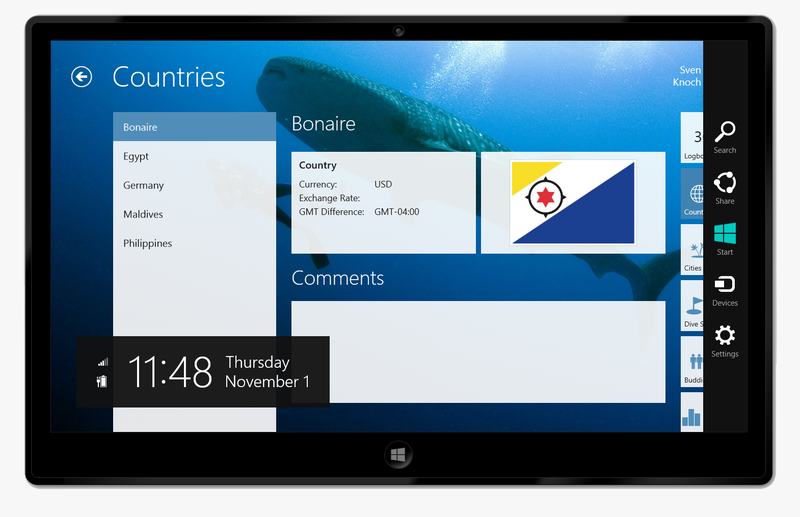 If you don’t want this animation, select the tile and tap in the app bar “Turn live tile off”. It stops and the tile shows just a static image.